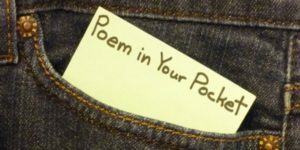 April is Poetry Month, and April 26 is Poem In Your Pocket Day. Oh, my, you say every day is some kind of day. So true. Today, for example, according to List of National Days is National Pigs In A Blanket Day. And tomorrow is National Telephone Day! But back to the point. Who Started Poem In Your Pocket Day? Poem In Your Pocket Day was declared by the Office of the Mayor of New York City in April 2002, and in 2008, the Academy of American Poets took the initiative to all fifty United States, according to Poets.org. As a mother, grandmother, former teacher and children’s book author I love it! Children enjoy and learn from the rhythm and rhyme of listening to and learning poems, and there are so many, many great ones out there for kids. If you want to introduce your children to poetry and rhymes, you can start with the old favorites like those found in Mother Goose and in other nursery rhyme books. Little ones love doing Itsy, Bitsy, Spider, Hickory Dickory Dock, or Mary Had a Little Lamb. I’ve been sharing rhymes and poems with kids for a long time, and our blog post #8 has a page you can download, print, and cut out some poems for kids to read, put in their pockets, or recite. These kinds of activities are fun if the adults in the family will do it, too. Need some ideas of where to find more poems? Poets.org has a section of children’s poems by category (animals, seasons, etc.) Click here to take a look at that. If you are looking for books on poetry for children, here are some of my favorites: A Child’s Garden of Verses by Robert Louis Stevenson, Collections of Poems, Songs, and Lullabies by Julie Andrews, Where The Sidewalk Ends, by Shel Silverstein, The New Kid On The Block by Jack Prelutsky. There are a gazillion more. Goodreads lists 220 Best Children’s Poetry books. you can rock with new rhythms. Isn’t that fun! She’s even written a book called Pocket Poems! I can see that will be on my next book order. Click on her name to get more information about her. I Hope you have fun on Poem In Your Pocket Day. What’s in your pocket? Another something to celebrate, but a good one for kids, and us all! Thanks for the informative post Shirley. Thanks, Lily. This is a fun one. I LOVE Poem-in-Your-Pocket Day! Cool post, Shirley! My very first principal, the one who gave out Happy Notes, introduced me to Keep a Poem In Your Pocket a long time ago. I’ve always liked it. 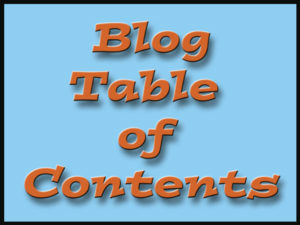 Thank you for your comment and thank you for sharing the post.